This year I had great hopes of getting a lot of writing done. It just didn’t happen. Instead I spent time researching my family history on Trove and helping my 92-year-old aunt with her memoirs. I’m hoping to use this as the basis of a story in the not-so-distant future. We’ll see. I also had two of my novels released as ebooks through Escape, the digital imprint of Harlequin. All in all, a pretty good year! At last count , I’d read 25 books for the Australian Women Writers Challenge (two of them children’s picture books). My tally keeping is a bit dodgy – I had to rely on my Twitter feed to jog my memory! – so I may have overlooked some titles. The Natural Way of Things was the absolute stand-out for me, but I also really enjoyed Amanda Curtin’s Elemental which I didn’t get round to reviewing. The fact that I didn’t get round to reviewing these books is no reflection on their quality: somehow I just didn’t make the time. I hope to do better in 2016. One thing I noticed with my reading this year was that it was broader than in 2014. 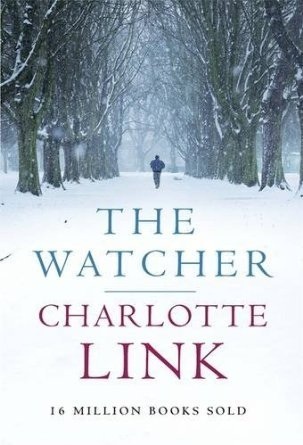 Last year my list was full of psychological suspense novels. This year, there are many more literary, mainstream and historical fiction titles. Some of these, like Belinda Castles’ Hannah & Emil still stay in my memory. A genre I didn’t read or review at all was Speculative Fiction; and I could definitely make more of an effort with Young Adult… and poetry, and nonfiction. What will 2016 bring? Plenty of good books, I hope; and plenty of writing. Perhaps another publication, if I’m lucky. In the meantime, I’ll keep sorting through my bookshelves and aim to make inroads on my To Be Read pile. How did your reading go this year? By the way, the Australian Women Writers Challenge sign-up page for 2016 is now open. Will you join me? The Wire in the Blood series is one of my all-time favourite TV crime shows. I love forensic psychologist Tony Wood’s tetchy relationship with detective Carol Jordan. 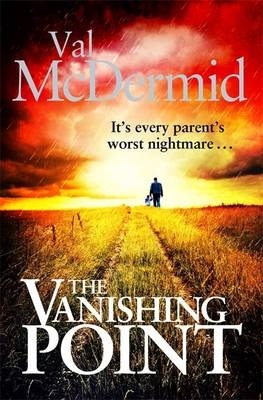 I’ve read and enjoyed a few of the books in the series, as well as other novels written by the well-known Scottish crime writer, Val McDermid, so I was expecting a similar thrilling read from her stand-alone novel, The Vanishing Point. But… The Vanishing Point didn’t quite do it for me. With the words “It’s every parents worst nightmare…” emblazoned on the cover, there is no surprise that this is an abduction story – though it has a characteristic McDermid twist. The opening is as thrilling as it is horrifying. A woman, Stephanie, used to be the ghost writer for Scarlett, a now-deceased reality TV celebrity, and godmother and newly-appointed guardian of Scarlett’s five-year-old son, Jimmy. Stephanie has just arrived in the US with Jimmy, about to start a vacation, when the boy is taken in broad daylight from the airport while Stephanie is being checked through security. In her effort to run after Jimmy and his abductor, Stephanie attracts the attention of airport security, thus providing the reason for her to be kept in custody for hours telling her story to Vivian, a helpful FBI agent. Stephanie discloses how she came to be the child’s guardian, what happened to the boy’s celebrity parents, and details of her own terrifying experiences with an abusive and controlling ex-boyfriend. Throughout her tale, the reader is invited first to suspect one character and then another of abducting the boy. The ex-boyfriend, the resentful cousin – even possibly Scarlett’s agent – all fall under suspicion. As a narrative device for telling the story, the FBI interview technique is okay, though it does stretch credulity and I guessed the “mystery” element pretty early on. Guessing a mystery for me is not uncommon, but normally, when that happens, there’s something else that keeps me drawn into the story, concern for the characters’ fate perhaps, or an interest in the world the characters inhabit. In the case of The Vanishing Point, neither of those things happened. For me, the celebrity world of reality TV, even set against a backdrop of News of the World-type phone tappings and the UK music scene, just isn’t compelling. More importantly, I never quite believed in the friendship between Scarlett and Stephanie – a crucial element in the story – which I’m tempted to put down to a lack of depth in characterisation. I finished the book, could even admire elements of the ending, but didn’t have that “Aha!” satisfied feeling of a really good thriller. It wasn’t a bad story; but nor was it one I’ll be racing off to recommend to my Facebook book group. For what it’s worth, I’d say time would be better spent downloading and watching the series Happy Valley, starring Sarah Lancashire, which just finished playing on ABC TV. Now that was compelling and thrilling crime drama. I was sorry to see it end.